Universal Basic Income - fact or fiction? I was ordering some books online the other day and as I got to the checkout page I saw the cost of shipping to Australia. I’ll be honest, it was more than I’d hoped for. Then I started pondering how it would get to my house from Amazon’s massive factory. Probably by truck, then plane then truck again… or something similar. However, cost of delivery for Amazon in the USA seems to be a fair bit cheaper. And that’s because some Amazon orders are now being delivered by drone (Amazon Prime Air). But, you see, this is just the tip of the iceberg for Amazon. A recent report has suggested that Amazon is exploring all manner of driverless technologies to try and break into (and possibly dominate) the shipping industry. This prompts all sorts of questions but one in particular I’ve been pondering a lot lately is – how vulnerable are everyday jobs1 to robots? Well, the answer is: very. In fact, in the last year of President Obama’s administration, the White House submitted an economics report to congress. The White House Council of Economic Advisors used some complicated algorithms2 to examine how many low-paying American jobs (less than $20 per hour) are under threat of being replaced by automation. 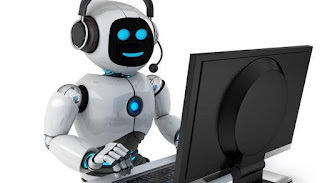 The most well-known report on this topic came from Oxford University in 2013 which predicted that 50% of today’s jobs could be replaced by robots over the next 20 years. But another idea has arisen from this conundrum. To the question: how do all these now unemployed people survive without a job, an increasing number of economists are positing the concept of a Universal Basic Income (UBI). The most common definition of UBI is: an unconditional cash payment to individuals sufficient to meet basic needs. And it’s not as far off as you may think. Just yesterday a Canadian province begun a trial of UBI to 4,000 participants The plan will see single participants receive up to $16,989 over the course of a year while couples will receive up to $24,027. Furthermore, Switzerland held a referendum last year on a UBI (of about 2500 Francs per month) and around 77% of the population rejected it. Yet, also last year, in a poll of 10,000 Europeans, 64% said they would vote in favour of a UBI. One entrepreneur who is a fan of the idea is Tesla mogul (and founder of Paypal), Elon Musk. He says: “People will have time to do other things, more complex things, more interesting things. Certainly more leisure time." Philosophers and economists have promoted the idea for centuries but it has always gone nowhere. Now the prediction by economist John Maynard Keynes back in 1930 appears to be coming true: within 100 years immense wealth would emerge alongside mass de facto unemployment, “due to our discovery of means of economising the use of labour outrunning the pace at which we can find new uses for labour”. The biggest question in my mind would be: why reward people without incentive? If people are going to be paid to do nothing, wouldn’t people default to being lazy and not contributing? Hardly reassuring. The argument "Well people do that now" is hardly a stirring reason to change to something that does the exact same thing! That certainly seems less viable to corruption or abuse than a lump sum payment, but the whole idea of a UBI still freaks me out a little. I don’t know what the answer is, but I’m not sure a UBI is the answer. What do you think? What is an 'everyday' job though? It's quite lazy terminology. I check my email 'every day' so that does that make my job an 'everyday job'? Hey Dylan, I find this topic interesting myself. One of the dangers of universal income is that it's predicated on the belief that taxation itself can find a way to reconcile avoidance tactics. Something that pre-tax on assumed profit can start to resolve but can't unless enough countries adopt it as business as usual. Ultimately if the rich companies that own all of the robots hold their profits from the governments then its the old carrot and stick argument. Those companies will hold even more power over governments and people will be held hostage by the best worse deal their short sighted politicians can negotiate for them. One of the other areas highlighted through the tv series "The Expanse" is that potentially universal basic income means very very very long subsidised education (the rich of course have no waiting period) - This ultimately in the show leads to waiting 40 years to try and become a doctor or lawyer. The remaining options are being employed in Government roles or the military. While I think universal income will eventually be a thing it worries me that Governments of today haven't yet reconciled providing a living income to those who can't work or are on disability. For it to work, society has to change - our values and what we consider living are all on the horizon for a big adjustment. Thanks Nathan - great points!